In 2009 the American Newsweek-magazine judged the station to be the world’s fourth greatest train station. In 2014 the British-American magazine Mashableawarded it the first place for the most beautiful railway station in the world. 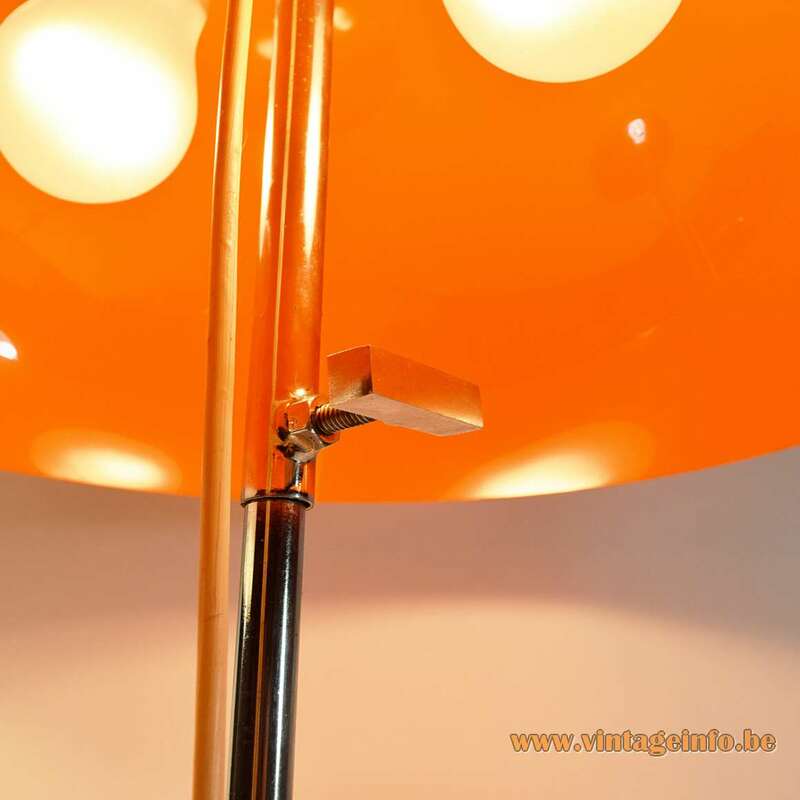 Materials: Chromed iron round base. Chromed rod and brass. 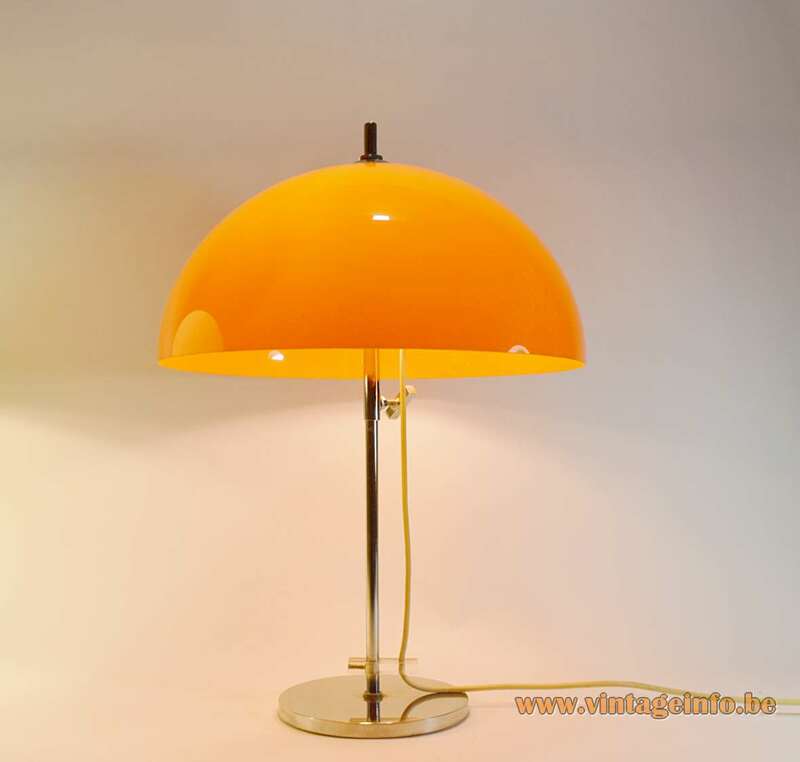 Orange acrylic mushroom lampshade. Transparent acrylic cord holder. Chrome ornamental rectangular screw. Brass with porcelain sockets. 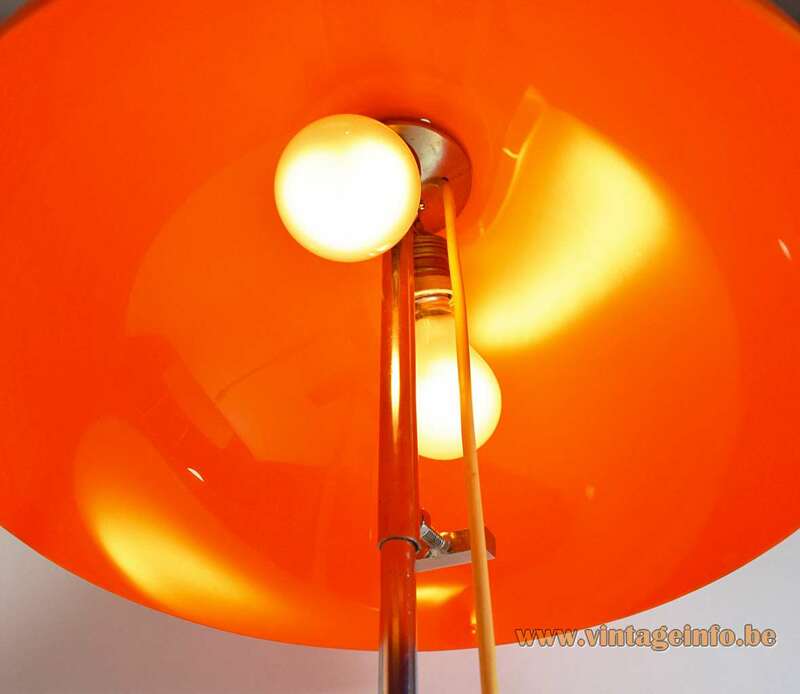 Any type of light bulb can be used, not a specific one preferred. But opaque or frosted light bulbs gives the best result. 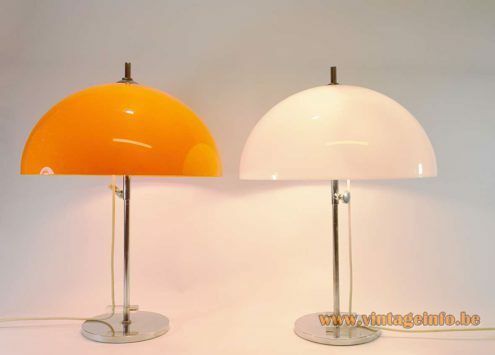 Other versions: Also made with a white lampshade. Some slight differences exist. 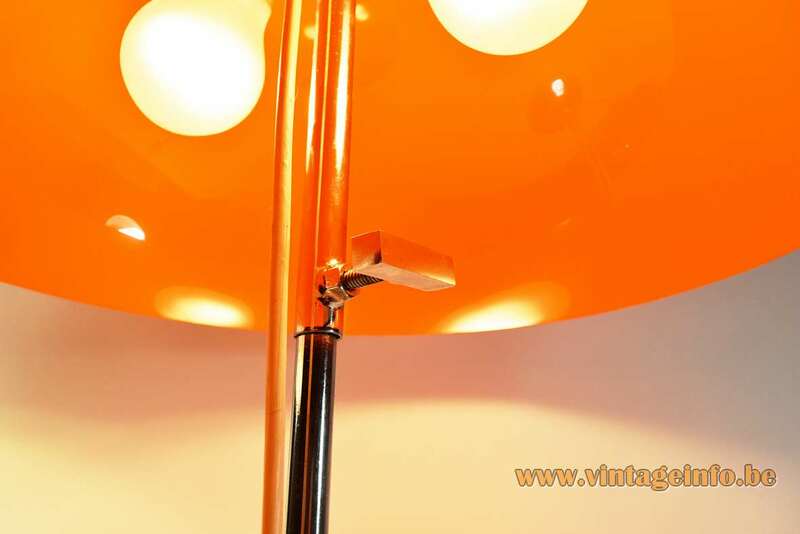 For instance, the white version here on Vintageinfo has a round ornamental screw to adjust the height. Gepo N.V. was a family business founded in 1965 by the brothers Posthuma: Peter(sales director) , Jules (purchase and marketing), Archi and Rob (production). The name Gepo is derived from the Gebroeders (brothers) Posthuma. 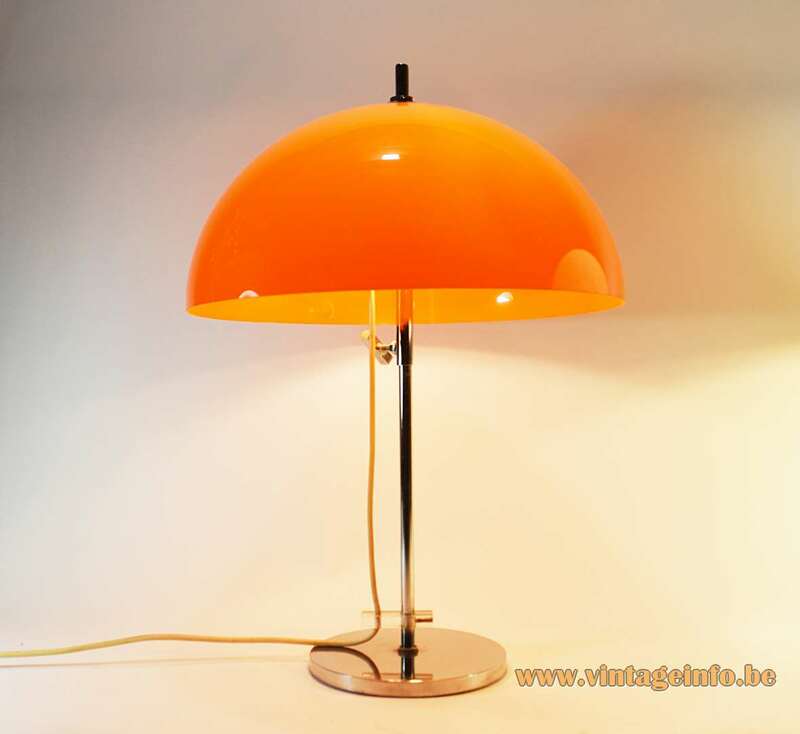 The electric parts are made by the Italian VLM Components company. 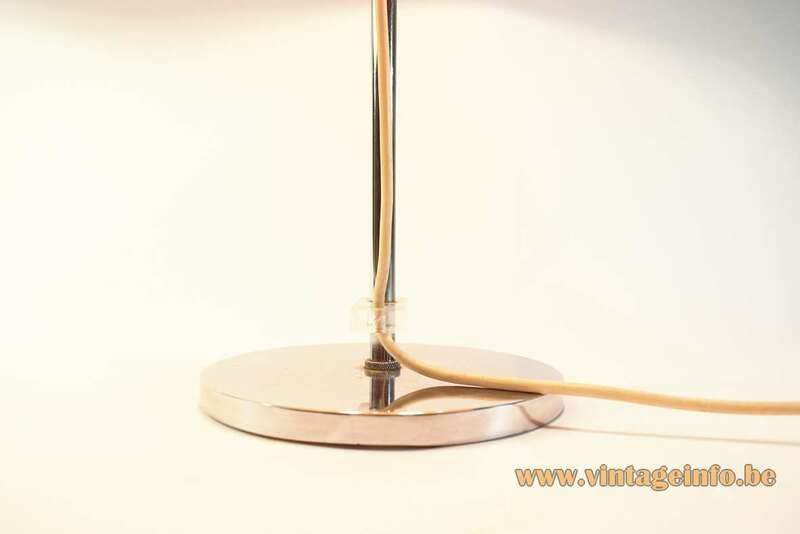 All electric parts were produced in the mid 1960s, so presumably also this table lamp. 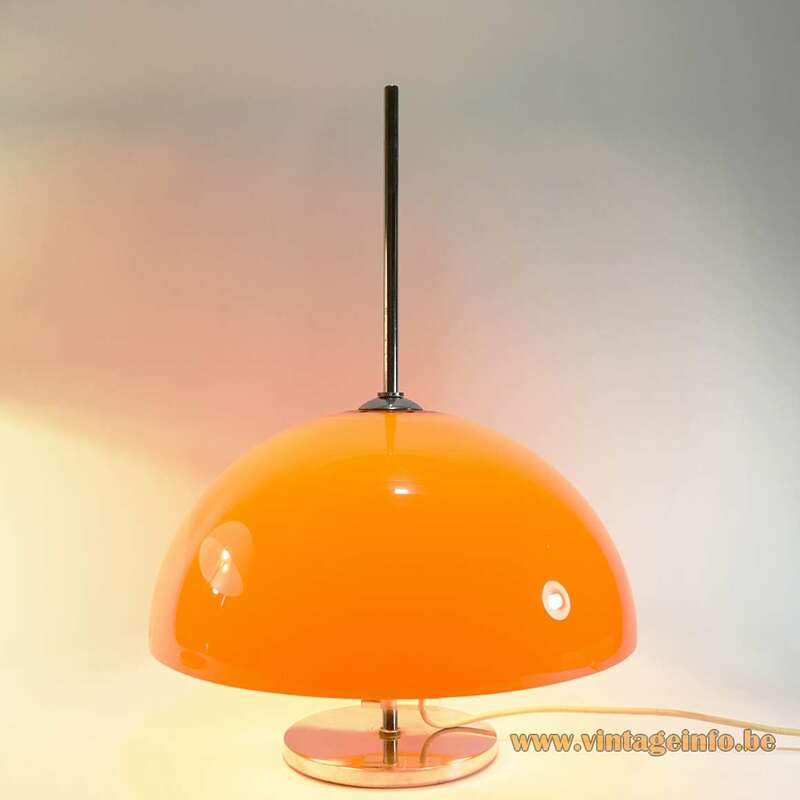 This lamp was acquired when Veduco, once a famous design shop in Antwerp, Belgium, ended business in 1996. The shop was located in the Carnotstraat near the central station. In the 1960s, 1970s and 1980s a boulevard famous for all the furniture and design shops. 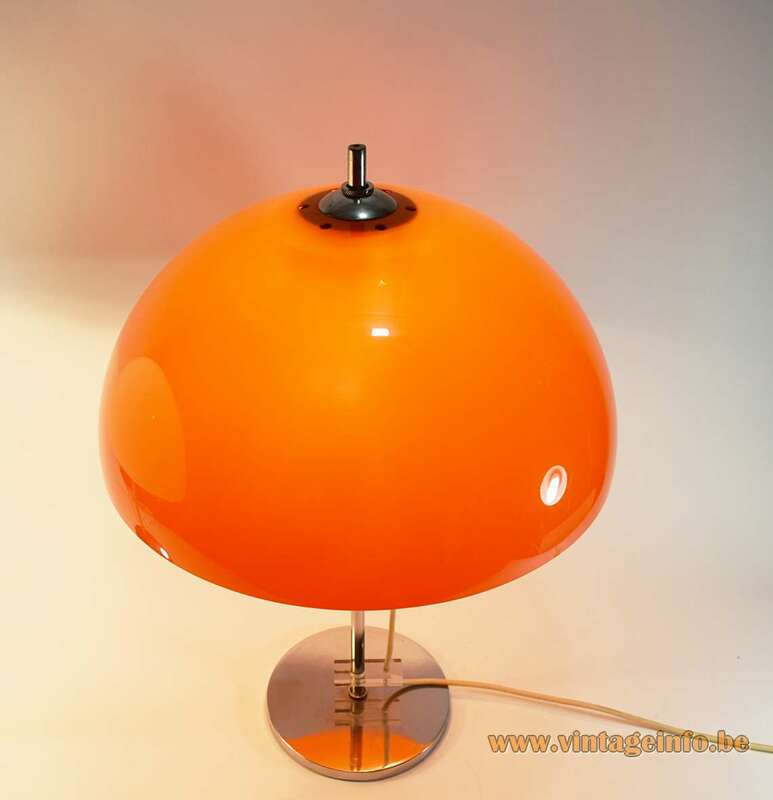 This lamp, together with a white one, were the last 2 lamps to be found somewhere in the basement before closing the shop.